Located at the famed intersection of Park Place and The Boardwalk Ballys Atlantic City is the ideal place to take advantage of the city that is Always Turned On. Chic and stylish with a cosmopolitan elegance Ballys offers world-class gaming/dining/spa experiences/entertainment and nightlife all in a center Boardwalk location. Once you have had your fill of fun and excitement the accommodations at Ballys offer inviting interiors and a wealth of amenities designed to make your stay a luxurious one. There is no better place to unpack your suitcase for one night or a much longer stay. Choose your ideal escape from an array of classic/deluxe/premium or garden tower rooms. Seeking a new adventure Check in to the Ruby Rooms at Ballys. The Ruby Rooms are a boutique hotel within the hotel. Far beyond the ordinary your Ruby Room will become your personal playground filled with vibrant style imaginative design and trend-setting amenities. All hotel guests are invited to take advantage of Ballys Spa and Health Center a sublime sanctuary for the body mind and soul. 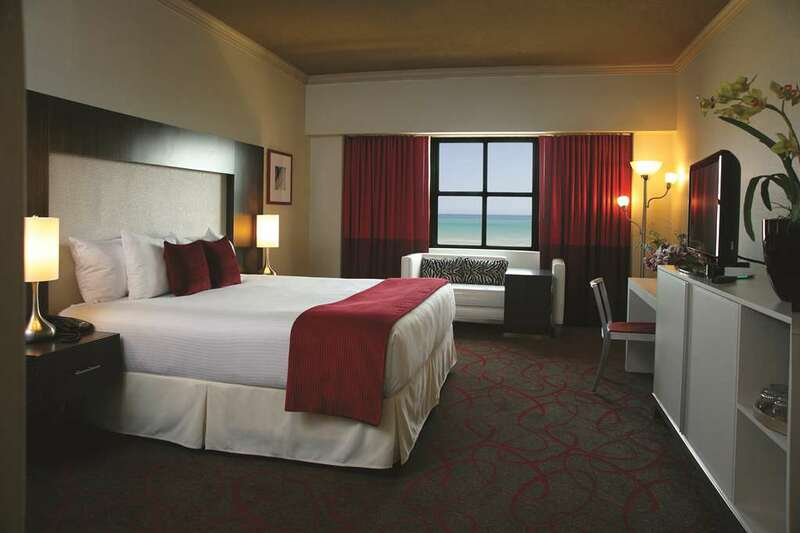 Choose Ballys for your next Atlantic City getaway. We love what you love. Noodle Village: Offers fast friendly service and delicious authentic Chinese and Vietnamese dishes. 6ix A Bistro: Popular American Bistro featuring a large selection of the freshest homemade signature dishes and daily dining specials. Lobby Lounge: Relax with one of our specialty cocktails or cooling refreshments while watching your favorite televised sporting event. Open 24 hours a day - 7 days a week. Lobby Lounge just off the casino floor across from the Hotel Lobby check-in. Located at the famed intersection of Park Place and The Boardwalk Ballys Atlantic City is the ideal place to take advantage of the city that is Always Turned On.